feel good. mind alert. happy. 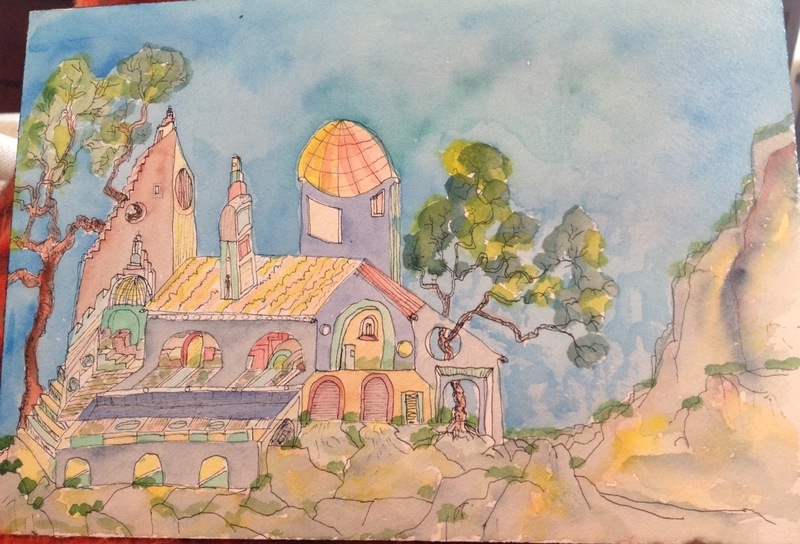 This entry was posted in Uncategorized and tagged art, artist, Going to Goa Blog, inspiration, painting, Scott Morgan, traveling with cancer, watercolor. Bookmark the permalink. really loving the architecture of this structure. floors that seem to float into other levels, little men that appear in towers on the roof. scotto morgoni apparently learned about anti-gravitational architecture during one of his morrocon adventures. Your comment elicited a chuckle, though I ‘m unsure if it came from Scotto Morgani or from Scott Morgan….